British West Florida in 1767. West Florida was a colony of the Kingdom of Great Britain from 1763 until 1783 when it was ceded to Spain as part of the Peace of Paris. West Florida was a region on the north shore of the Gulf of Mexico that underwent several boundary and sovereignty changes during its history. As its name suggests, it was formed out of the western part of former Spanish Florida, along with lands taken from French Louisiana; West Florida's capital was Pensacola. The colony included about 2/3 of what is now the Florida Panhandle, as well as parts of the modern U.S. states of Louisiana, Mississippi, and Alabama. British West Florida comprised parts of the modern U.S. states of Louisiana, Mississippi, Alabama and Florida. 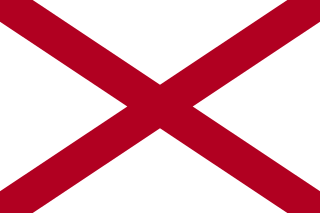 Effective British control ended in 1781 when Spain captured Pensacola. The territory subsequently became a colony of Spain, parts of which were gradually annexed piecemeal by the United States beginning in 1810. Mississippi is a state located in the southeastern region of the United States. Mississippi is the 32nd most extensive and 34th most populous of the 50 United States. It is bordered by Tennessee to the north, Alabama to the east, the Gulf of Mexico and Louisiana to the south, and Arkansas and Louisiana to the west. 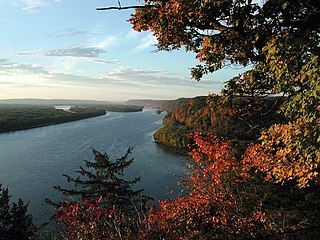 The state's western boundary is largely defined by the Mississippi River. Jackson, with a population of approximately 167,000 people, is both the state's capital and largest city. In 1762, during the Seven Years' War, a British expedition attacked and occupied Havana, the capital of Cuba. To secure the return of this valuable city, Spain agreed to cede its territory of La Florida to the victorious Great Britain under the 1763 Treaty of Paris. France ceded a large segment of New France to Great Britain, including its territory east of the Mississippi River except for the city of New Orleans. 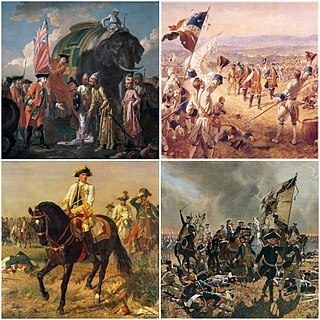 The Seven Years' War was a global conflict fought between 1756 and 1763. It involved every European great power of the time and spanned five continents, affecting Europe, the Americas, West Africa, India, and the Philippines. The conflict split Europe into two coalitions, led by the Kingdom of Great Britain on one side and the Kingdom of France, the Russian Empire, the Kingdom of Spain, and the Swedish Empire on the other. Meanwhile, in India, some regional polities within the increasingly fragmented Mughal Empire, with the support of the French, tried to crush a British attempt to conquer Bengal. The war's extent has led some historians to describe it as "World War Zero", similar in scale to other world wars. Spanish Florida, was the first major European land claim and attempted settlement in North America during the European Age of Discovery. La Florida formed part of the Captaincy General of Cuba, the Viceroyalty of New Spain, and the Spanish Empire during Spanish colonization of the Americas. While its boundaries were never clearly or formally defined, the territory was much larger than the present-day state of Florida, extending over much of what is now the southeastern United States, including all of present-day Florida plus portions of Georgia, Alabama, Mississippi, South Carolina, and southeastern Louisiana. Spain's claim to this vast area was based on several wide-ranging expeditions mounted during the 16th century. A number of missions, settlements, and small forts existed in the 16th and to a lesser extent in the 17th century; eventually they were abandoned due to pressure from the expanding English and French colonial projects, the collapse of the native populations, and the general difficulty in becoming agriculturally or economically self-sufficient. By the 18th century, Spain's control over La Florida did not extend much beyond its three forts, all located in present-day Florida: St. Augustine, St. Marks, and Pensacola. The British divided this southern region of the North American continent into two separate colonies: East Florida, with its capital in St. Augustine and West Florida, with Pensacola as its capital. Many of the Spanish inhabitants of Florida were evacuated to Cuba, and new British settlers arrived including some from the thirteen colonies. 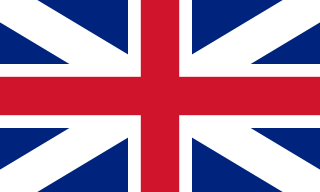 East Florida was a colony of Great Britain from 1763 to 1783 and a province of Spanish Florida from 1783 to 1821. East Florida was founded as a colony by the British colonial government in 1763; it consisted of peninsular Florida, with its western boundary at the Apalachicola River. Its capital was St. Augustine, which had been the capital of Spanish La Florida. St. Augustine is a city in the Southeastern United States, on the Atlantic coast of northeastern Florida. Founded in 1565 by Spanish explorers, it is the oldest continuously inhabited European-established settlement within the borders of the continental United States. Pensacola is the westernmost city in the Florida Panhandle, approximately 13 miles (21 km) from the border with Alabama, and the county seat of Escambia County, in the U.S. state of Florida. As of the 2010 census, the city had a total population of 51,923, down from 56,255 at the 2000 census. Pensacola is the principal city of the Pensacola metropolitan area, which had an estimated 461,227 residents in 2012. By separate treaty France ceded its lands west of the Mississippi to Spain, which formed Spanish Louisiana with the capital at New Orleans. 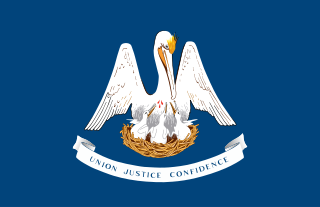 Louisiana was the name of an administrative district of the Viceroyalty of New Spain from 1763 to 1801 that consisted of territory west of the Mississippi River basin, plus New Orleans. 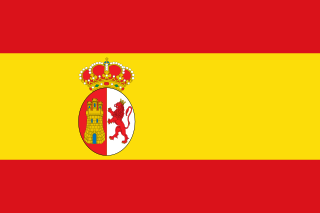 Spain acquired the territory from France, which had named it La Louisiane in honor of King Louis XIV in 1682. It is sometimes known as Spanish Louisiana. The district was retroceded to France, under the terms of the Third Treaty of San Ildefonso (1800) and the Treaty of Aranjuez (1801). In 1802, King Charles IV of Spain published a royal bill on 14 October, effecting the transfer and outlining the conditions. In 1763 British troops arrived and took possession of Pensacola. George Johnstone was appointed as the first British Governor, and in 1764 a colonial assembly was established. 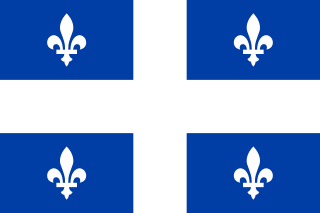 The structure of the colony was modeled after the existing British colonies in America, as opposed to Quebec, which was based on a different structure. In contrast to East Florida, where there was little development and population growth, West Florida began to boom in the years following the British takeover, and thousands of new arrivals came to take advantage of the favorable conditions there. British America comprised the British Empire's colonial territories in North America, Bermuda, Central America, the Caribbean, and Guyana from 1607 to 1783. The American colonies were formally known as British America and the British West Indies before the Thirteen Colonies declared their independence in the American Revolutionary War (1775–1783) and formed the United States of America. After that, the term British North America was used to describe the remainder of Britain's continental North American possessions. That term was first used informally in 1783 by the end of the American Revolution, but it was uncommon before the Report on the Affairs of British North America (1839), called the Durham Report. West Florida was invited to send delegates to the First Continental Congress which was convened to present colonial grievances against the British Parliament to George III, but along with several other colonies, including East Florida, they declined the invitation. Once the American War of Independence had broken out, the colonists remained overwhelmingly loyal to the Crown. In 1778 the Willing Expedition proceeded with a small force down the Mississippi, ransacking estates and plantations, until they were eventually defeated by a local militia. In the wake of this, the area received a small number of British reinforcements. Following an agreement signed at Aranjuez, Spain entered the American Revolutionary War on the side of France but not the Thirteen Colonies. Spanish troops under Bernardo de Gálvez advanced and seized Baton Rouge and Mobile. In 1781 Spain captured Pensacola and its garrison. As part of the 1783 Peace of Paris, Great Britain ceded the territories of West Florida and East Florida back to Spain. 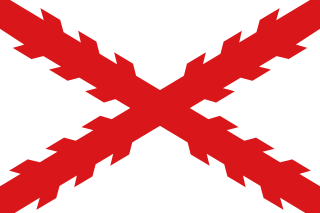 Pinckney's Treaty, also commonly known as the Treaty of San Lorenzo or the Treaty of Madrid, was signed in San Lorenzo de El Escorial on October 27, 1795 and established intentions of friendship between the United States and Spain. It also defined the border between the United States and Spanish Florida, and guaranteed the United States navigation rights on the Mississippi River. With this agreement, the first phase of the ongoing border dispute between the two nations in this region, commonly called the West Florida Controversy, came to a close. The Territory of Florida was an organized incorporated territory of the United States that existed from March 30, 1822, until March 3, 1845, when it was admitted to the Union as the state of Florida. Originally the Spanish territory of La Florida, and later the provinces of East and West Florida, it was ceded to the United States as part of the 1819 Adams–Onís Treaty. It was governed by the Florida Territorial Council. Perdido River, historically Rio Perdido (1763), is a 65.4-mile-long (105.3 km) river in the U.S. states of Alabama and Florida; the Perdido, a designated Outstanding Florida Waters river, forms part of the boundary between the two states along nearly its entire length and drains into the Gulf of Mexico. During the early 19th century it played a central role in a series of rotating boundary changes and disputes among France, Spain, Great Britain, and the United States. The Florida Panhandle, an informal, unofficial term for the northwestern part of the U.S. state of Florida, is a strip of land roughly 200 miles (320 km) long and 50 to 100 miles wide, lying between Alabama on the north and the west, Georgia on the north, and the Gulf of Mexico to the south. Its eastern boundary is arbitrarily defined. 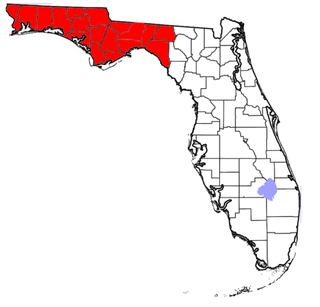 The terms West Florida and Northwest Florida are today generally synonymous with the Panhandle, although historically West Florida was the name of a British colony (1763–1783), later a Spanish colony (1783–1821), both of which included modern-day Florida west of the Apalachicola River as well as portions of what are now Alabama, Mississippi, and Louisiana. The "Old Southwest" is an informal name for the southwestern frontier territories of the United States from the Revolutionary War era through the early 19th century, at the point when the territorial lands were organized into states. The West Florida Controversy refers to two border disputes that involved Spain and the United States in relation to the region known as West Florida over a period of 37 years. The first dispute commenced immediately after Spain received the colonies of West and East Florida from the Kingdom of Great Britain following the American Revolutionary War. Initial disagreements were settled with Pinckney's Treaty of 1795. The history of Pensacola, Florida begins long before the Spanish claimed founding of the modern city in 1698. The area around present-day Pensacola was inhabited by Native American peoples thousands of years before the historical era. The Treaty of Fontainebleau was a secret agreement of 1762 in which France ceded Louisiana to Spain. The treaty followed the last battle in the French and Indian War in North America, the Battle of Signal Hill in September 1762, which confirmed British control of Canada. In Europe, the associated Seven Years' War continued to rage. Having lost Canada, King Louis XV of France proposed to King Charles III of Spain that France should give Spain "the country known as Louisiana, as well as New Orleans and the island in which the city is situated." Charles accepted on November 13, 1762. The Indian Reserve is a historical term for the largely uncolonized area in North America acquired by Great Britain from France through the Treaty of Paris (1763) at the end of the Seven Years' War, and set aside in the Royal Proclamation of 1763 for use by Native Americans, who already inhabited it. The British government had contemplated establishing an Indian barrier state in the portion of the reserve west of the Appalachian Mountains, and bounded by the Ohio and Mississippi rivers and the Great Lakes. British officials aspired to establish such a state even after the region was assigned to the United States in the Treaty of Paris (1783) ending the American Revolutionary War, but abandoned their efforts in 1814 after losing military control of the region during the War of 1812. Feliciana Parish, or New Feliciana, French: Paroisse de Félicianne, was a parish of the Territory of Orleans and the state of Louisiana, formed in 1810 from West Florida territory. Given an increase in population, it was divided in 1824 into East Feliciana Parish and West Feliciana Parish. The Floridas was a region of the southeastern United States comprising the historical colonies of East Florida and West Florida. The borders of East and West Florida varied. In 1783, when Spain acquired West Florida and re-acquired East Florida from Great Britain through the Peace of Paris (1783), the eastern British boundary of West Florida was the Apalachicola River, but Spain in 1785 moved it eastward to the Suwannee River. The purpose was to transfer San Marcos and the district of Apalachee from East Florida to West Florida. From 1810 to 1813, the United States extended piecemeal control over the part of West Florida that comprised the modern-day Gulf coasts of Alabama and Mississippi and the Florida Parishes of Louisiana. After the ratification of the Adams-Onis Treaty in 1821 the United States combined East Florida and what had been the remaining Spanish-controlled rump of West Florida into the territory that comprised modern-day Florida. The Pensacola were a Native American people who lived in the western part of what is now the Florida Panhandle and eastern Alabama for centuries before first contact with Europeans until early in the 18th century. They spoke a Muskogean language. They are the source of the name of Pensacola Bay and the city of Pensacola. They lived in the area until the mid-18th century, but were thereafter assimilated into other groups. Spanish West Florida was a province of the Spanish Empire from 1783 until 1821, when both it and East Florida were ceded to the United States. San Joseph de Escambe was an Apalachee mission community established in 1741 at the present-day community of Molino, Florida along the Escambia River north of Pensacola, lending its name both to the river and later to Escambia County, Florida. Taking its name from an earlier Apalachee mission community named San Cosme y San Damián de Escambe located far to the east in Leon County, Florida, this later Escambe mission was inhabited by refugee Apalachee Indians, including chief Juan Marcos Isfani, who had previously settled near the mouth of the river in 1718, having gathered a group of Apalachee refugees who had lived among the Creek Indians since the 1704 English-Creek raids that destroyed the Apalachee Province. After twenty years along the northern Spanish frontier, the mission was burned in a Creek Indian raid on April 9, 1761, and its inhabitants resettled with the Yamasee Indian residents of San Antonio de Punta Rasa adjacent to modern Pensacola before relocating to Veracruz, Mexico along with the Spanish residents of Pensacola in 1763. The Apalachee and Yamasee were assisted in forming a new town north of Veracruz called San Carlos de Chachalacas along the river of the same name, and this town still exists today, though there is no documentation to demonstrate whether any of the Florida Indians who started the town still have any living descendants there. ↑ John Richard Alden (1957). The South in the Revolution, 1763–1789. Louisiana State University Press. p. 121. ISBN 978-0-8071-0013-4. ↑ Coker, William S; Shofner, Jerrell H.; Morris, Joan Perry; Malone, Myrtle Davidson (1991). Florida from the Beginning to 1992 : a Columbus Jubilee Commemorative. Houston: Pioneer Publications. p. 4. Retrieved 28 June 2014. ↑ Spencer Tucker; James R. Arnold; Roberta Wiener (30 September 2011). The Encyclopedia of North American Indian Wars, 1607–1890: A Political, Social, and Military History. ABC-CLIO. p. 751. ISBN 978-1-85109-697-8. ↑ Wright, J. Leitch (1972). "Research Opportunities in the Spanish Borderlands: West Florida, 1781-1821". Latin American Research Review. Latin American Studies Association. 7 (2): 24–34. JSTOR 2502623. Wright also notes, "It was some time after 1785 before it was clearly established that Suwannee was the new eastern boundary of the province of Apalachee." ↑ Weber, David J. (1992). The Spanish Frontier in North America. New Haven, Connecticut, USA: Yale University Press. p. 275. Spain never drew a clear line to separate the two Floridas, but West Florida extended easterly to include Apalachee Bay, which Spain shifted from the jurisdiction of St. Augustine to more accessible Pensacola. ↑ "The Evolution of a State, Map of Florida Counties - 1820". 10th Circuit Court of Florida. Retrieved 2016-01-26. Under Spanish rule, Florida was divided by the natural separation of the Suwanee River into West Florida and East Florida. Calloway, Colin Gordon. The Scratch of a Pen: 1763 and the Transformation of North America. Oxford University Press, 2006. Chavez, Thomas E. Spain and the Independence of the United States: An Intrinsic Gift. University of New Mexico Press, 2003.